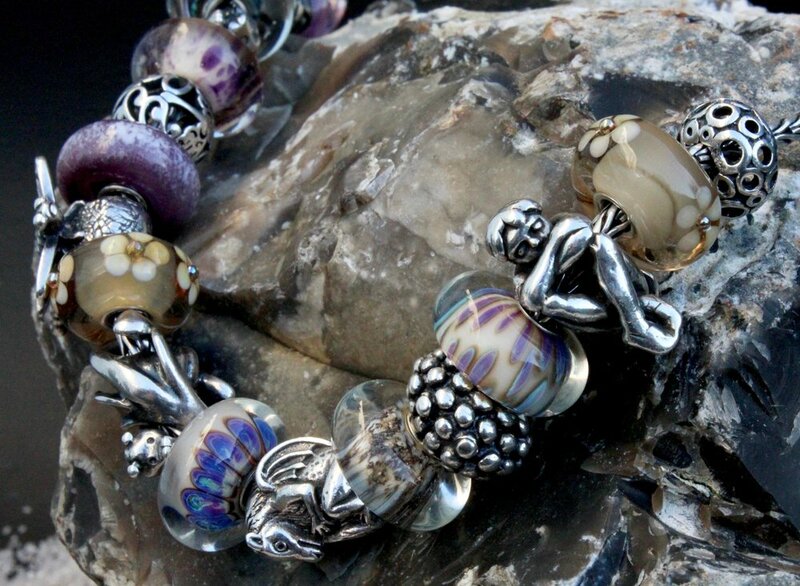 A set of charm beads that can be worn on Trollbead necklaces and bracelets that is inspired by my favourite flowers, colours, natural landscapes and imagery. I wanted to make a versatile set that could be worn with anything and had really rich and eloquent colour palette. 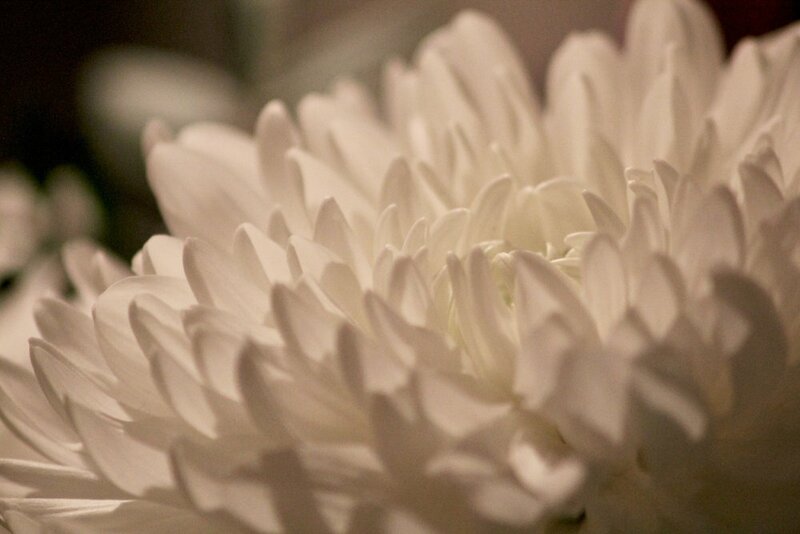 I love sunset and sunrise colours of the sky and different light effects, the natural landscape, rock formations, the movement of water, and anyone that knows me knows I love my flowers! These set of beads embrace all of those things. Basically I just sat there at the torch and just went to town with no constraints. It was very liberating and therapeutic! Some of the beads are reminiscent of petals, some depict actual petals, some have elements of cloud patterns and others just indulge a colour and run with it. Every bead is there for a reason and tells it's own little story. There are little touches all over the place and accents of metallic gold to bring a little plushness to the set here and there. This last set of pictures is all about my favourite bead of the lot. This petally blue one. There's got to be a 'special, special' bead in any set and this is it for me. 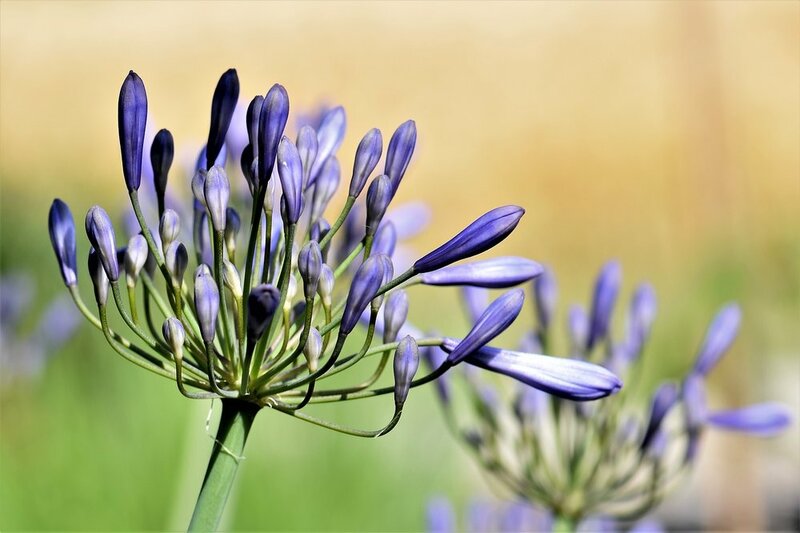 It was inspired by the petals of the agapanthus flower pictured above which is one of my all time favourite flowers. 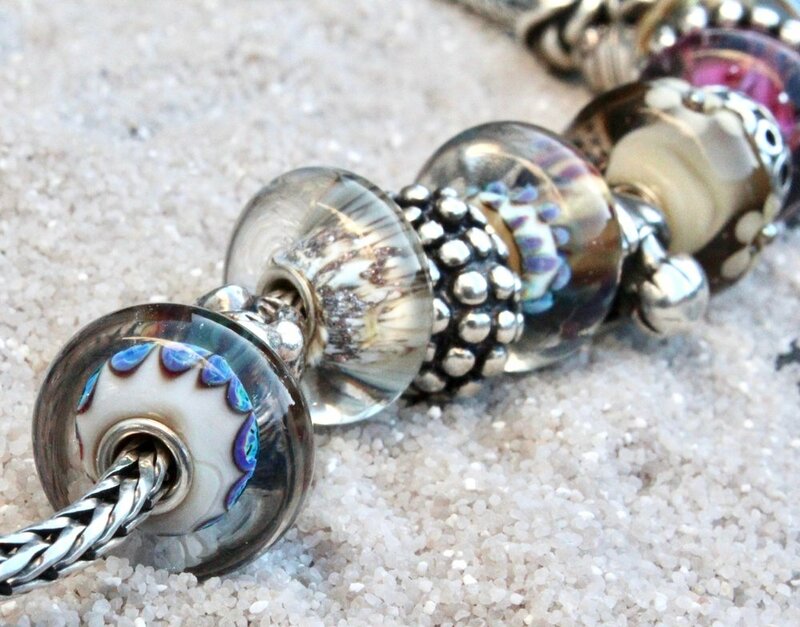 I love love love this bead. 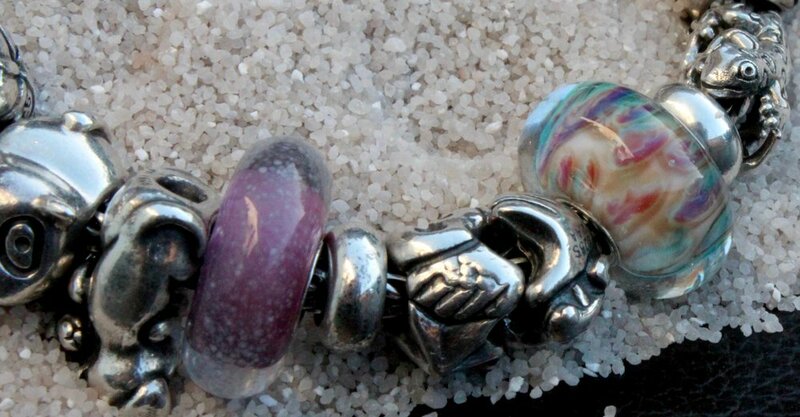 It is sitting next to my baby dragon silver bead at the moment and is very happy indeed.